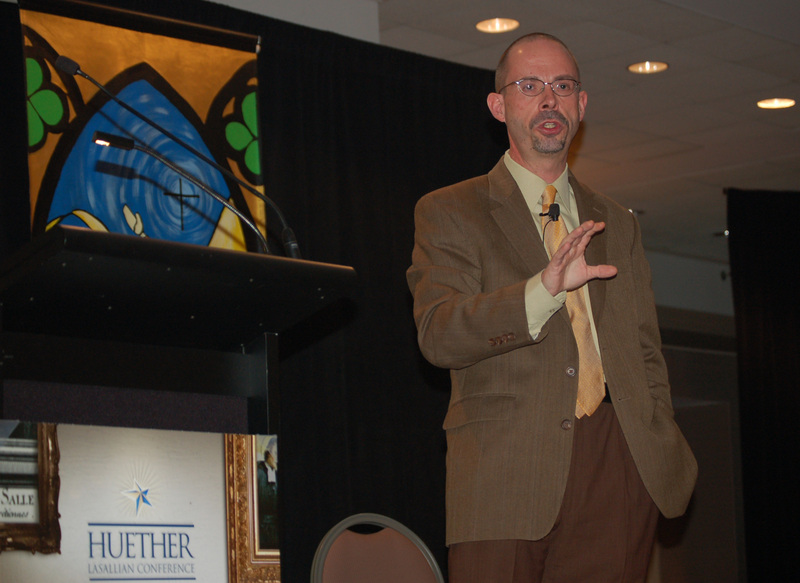 An enlightening evening kicked off the Huether Lasallian Conference Thursday, November 20, 2014. More than 300 Lasallians are gathered in Chicago at the Holiday Inn Chicago Mart Plaza for the 41st Huether Conference, which is taking place November 20 – 22 with the theme The Lasallian Mission: Word, Witness & Invitation. 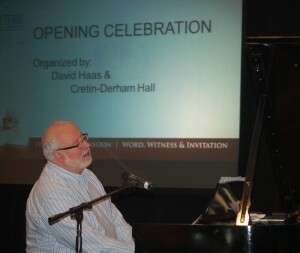 Huether officially got underway with an opening session, including prayer led by singer/songwriter David Hass and Cretin-Derham Hall in St. Paul, Minnesota. Following opening remarks by Dr. Margaret McCarty, executive director of Christian Brothers Conference, and Brother Larry Schatz, FSC, Visitor of Midwest District, John L. Allen, Jr. addressed Lasallians. Allen, associate editor for The Boston Globe, is a Vatican correspondent who served for 16 years as a prize-winning senior correspondent for the National Catholic Reporter. He is also a Vatican analyst for CNN. 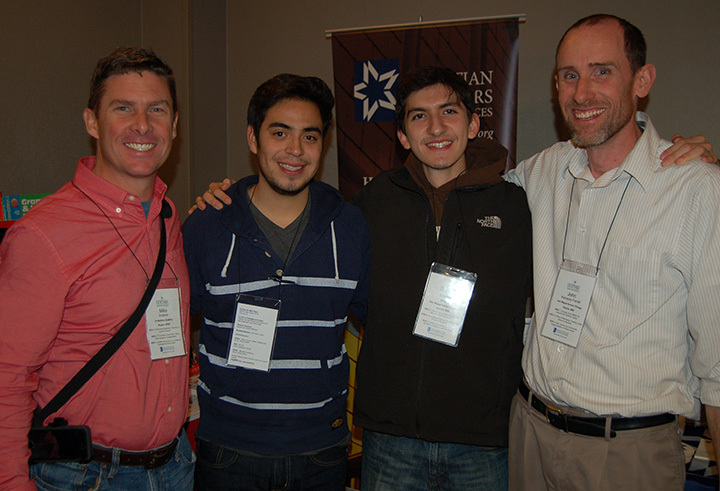 Allen spoke to Lasallians about Pope Francis’ reforms and how he has re-energized the Church. He said there are three pillars of the papacy: leadership as service, the missionary concept of the Church, and mercy as the spiritual cornerstone. Allen predicted that Pope Francis will be remembered as the pope of mercy. 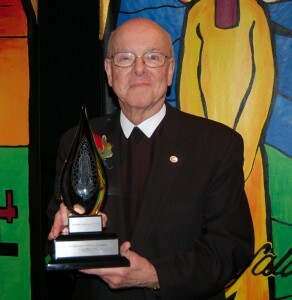 After Allen’s address, which was sponsored by Saint Mary’s Press and Anselm Academic, the Lasallian Region of North America presented the Brother John Johnston, FSC Award to Brother James Gaffney, FSC, D.Min., president of Lewis University in Romeoville, Illinois. The award, named after the 25th Superior General of the Brothers of the Christian Schools, honors Brother James for his many years of impactful service to the Lasallian mission. The evening concluded with a social and concert by Haas, who is the director of The Emmaus Center for Music, Prayer and Ministry and campus minister and liturgical choir director at Cretin-Derham Hall in St. Paul, Minneapolis. Two pre-conference workshops gave participants an early start to Huether: Strong Catholic Families, Strong Catholic Youth with Dr. Sean Reynolds from the Office of Youth and Young Adult Ministry in the Archdiocese of Cincinnati, Ohio, and Talk Better Together with Rev. 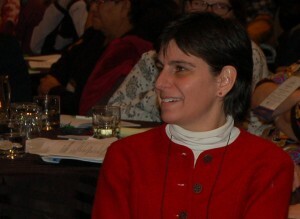 Hannah Kardon, pastor of Elston Avenue United Methodist Church in Chicago. Huether will continue Friday with an address by Dr. Carole Eipers, vice president and executive director of catechetics for William H. Sadlier, Inc., three rounds of informative breakout sessions, and District dinners. Saturday morning will feature a wrap up session with John Donahue-Grossman, director of retreat at La Salle Manor Retreat Center in Plano, Illinois. 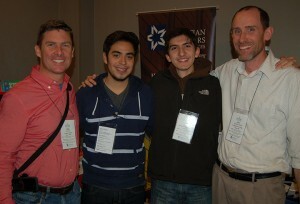 The conference will conclude in the evening with a banquet honoring Distinguished Lasallian Educators.